What do butterflies, golf clubs, deer tracks, wrenches, mountains, and tractors have in common? 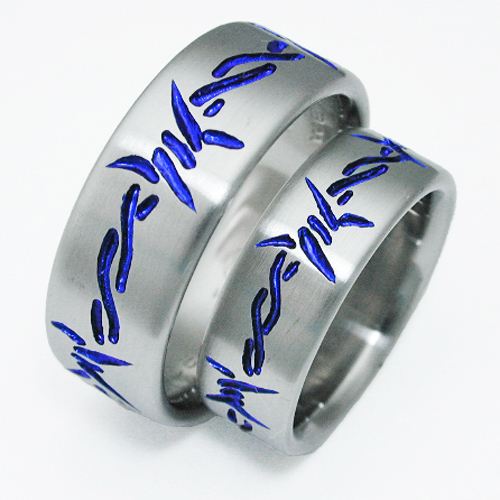 Answer: titanium wedding rings! Contact us and we’ll get started on your titanium wedding ring! 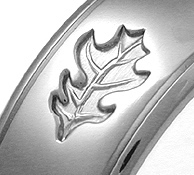 We can emboss or carve these and many other themes into titanium wedding rings. If those themes don’t thrill you or your fiance, how about skiers, fish, barbed wire, waves, mathematical formulas, airplanes, flames, or oak leaves? 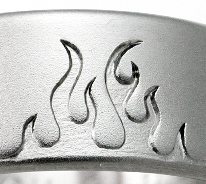 We have incorporated all these themes into titanium rings and many have been very popular. Sometimes we carve directly into the titanium ring and sometimes we make dies and strike the images into the rings. What’s the difference? 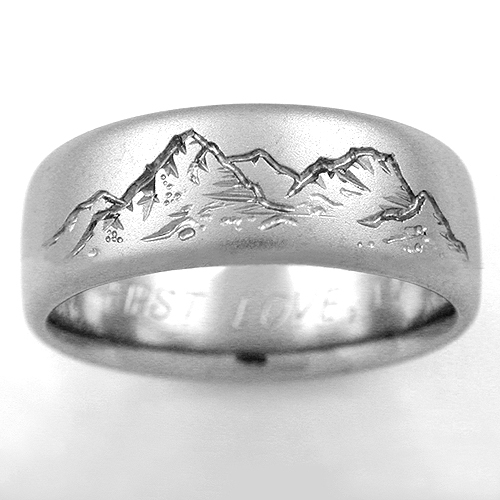 And some of our designs use both dies and hand carving, like the Eastbourne which has three different sized waves using dies and many of the other lines directly carved into the titanium ring. Many jewelry designers these days use CAD-CAM equipment to put designs on their titanium rings and there’s nothing wrong with that—they are especially suited to jewelry that will be cast rather than forged, or for intricate designs that must be symmetrical and continuous around the ring. But they don’t allow for the sharp detail and varying depth that is achievable with dies nor the flexibility of swapping different elements. 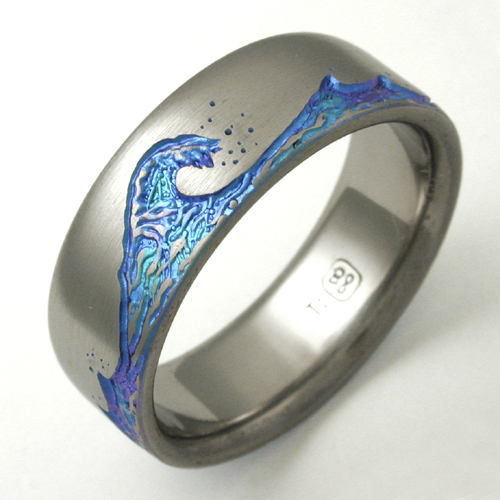 So what theme would YOU like to see in a titanium ring? We’ve got bear paws, ivy, infinity symbols, crosses, snowflakes, Hebrew, motorcycles, runes, and Monument Valley.